Do you struggle with fear and anxiety? Does it sometimes feel as if fear is keeping you from living the life of your dreams? 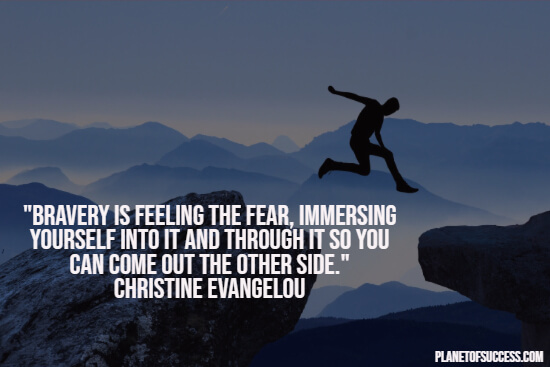 To support you on your quests of overcoming doubt, worry, and fear, we’ve collected some of the most empowering fear quotes. 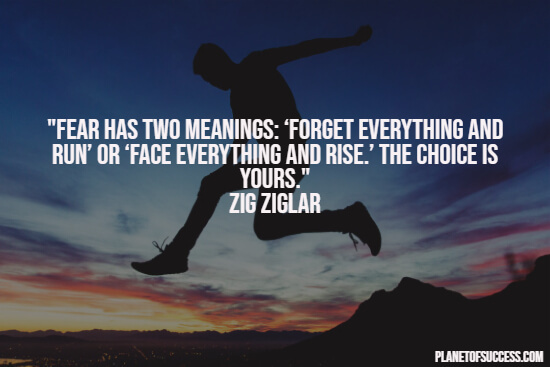 And if you cannot get enough of encouraging quotes, have a look at these courage quotes that will help you to boost your determination. Don’t beat yourself up just because you’re struggling with fear. It’s important to understand that fear is not necessarily the enemy. Fear is simply a survival mechanism that alerts you of potential dangers and threats. It is there to help you survive. It protects you and prevents you from making fatal mistakes. The problem starts when fear is dominating your life. Instead of protecting you, unreasonable and unjustified fears may prevent you from living life to the fullest. 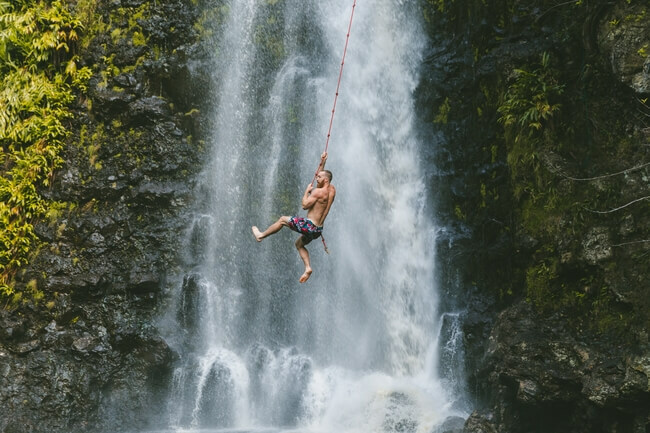 When it has become a habit to listen to your fears instead of facing them head-on, it may feel as if you’re trapped within your own comfort zone. But worry not. You are definitely not the only one with fear issues. In fact, some of the most courageous and adventurous men and women have experienced severe anxieties and fears. However, these unique individuals have found ways to cope with what they were afraid of. Not only this, but they also developed the necessary mindset to challenge their fears. 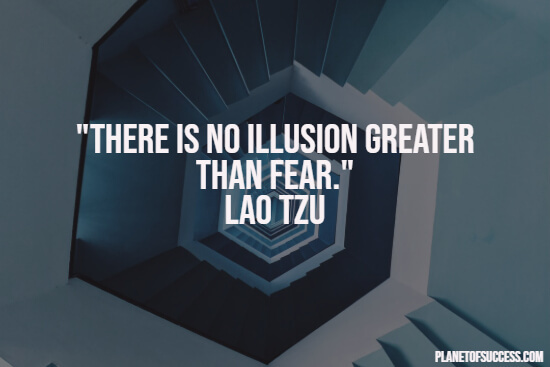 To help you make the very first steps in combating your anxieties, we have prepared a fantastic selection of the most inspirational fear quotes. These statements will help you to confront what you are afraid of so that you can push your own boundaries. Even more so, they will show you a way of slowly but steadily confronting your fears. 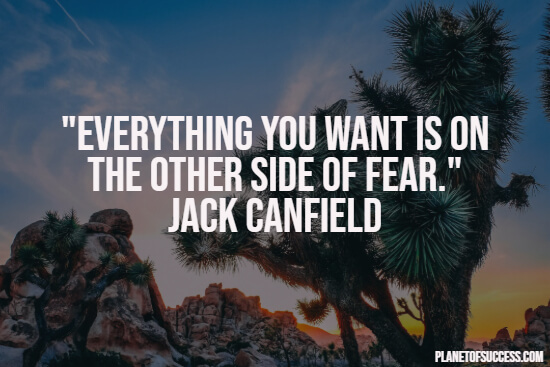 Doing so will help you to gradually build up the necessary confidence for getting into the habit of “feeling the fear and doing it anyway.” As a bonus, we’ve also included overcoming fear quotes and facing fear quotes to help you even more in pushing beyond what frightens you. 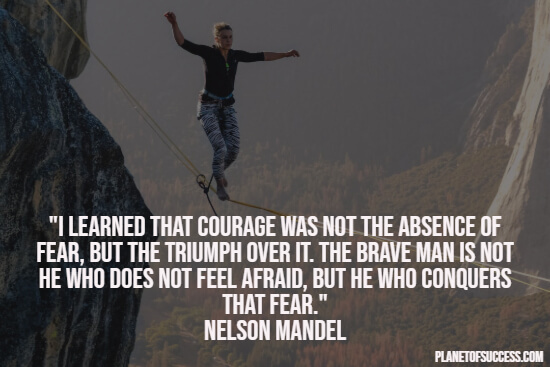 I hope you enjoyed this collection of overcoming fear quotes. Steve is the founder of Planet of Success, the #1 choice when it comes to motivation, self-growth and empowerment. This world does not need followers. What it needs is people who stand in their own sovereignty. Join us in the quest to live life to the fullest! This blog is all about personal development and the ambition to create a lifestyle full of joy, happiness, consciousness and success. Join us on the road to success and let us achieve the goals and visions we have ever dreamt of.